1. Monarch caterpillars, Danaus plexippus (Linnaeus), feed on milkweed plants in the genus Asclepias and sequester cardenolides as an anti–predator defence. 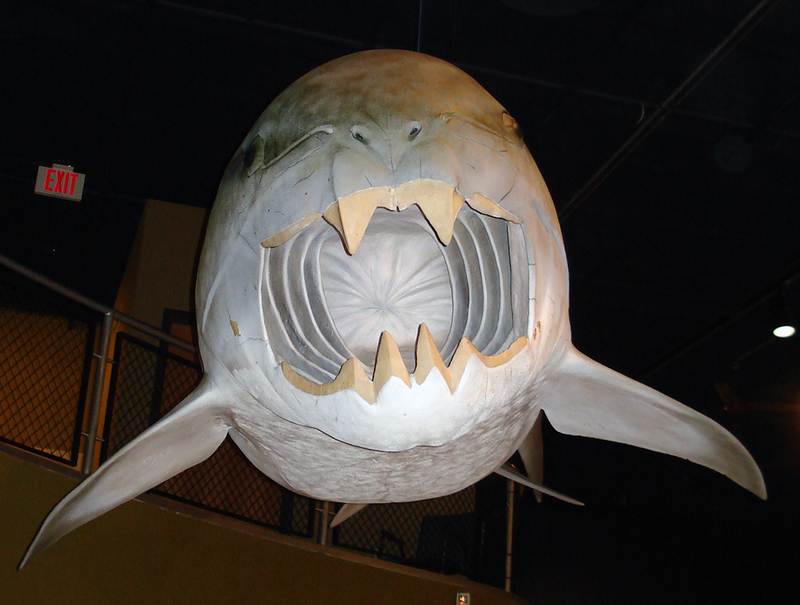 However, some predators are able to consume this otherwise unpalatable prey. 2. Chinese mantids, Tenodera sinensis (Saussure), were observed consuming monarch caterpillars by ‘gutting’ them (i.e. removing the gut and associated internal organs). They then feed on the body of this herbivore without any apparent ill effects. 3. How adult T. sinensis handle and consume toxic (D. plexippus) and non–toxic [Ostrinia nubilalis (Hübner) and Galleria mellonella (Linnaeus)] caterpillars was explored. The differences in the carbon/nitrogen (C:N) ratio and cardenolide content of monarch tissue consumed or discarded by mantids were analysed. 4. Mantids gutted monarchs while wholly consuming non–toxic species. Monarch gut tissue had a higher C:N ratio than non–gut tissue, confirming the presence of plant material. Although there were more cardenolide peaks in the monarch body compared with gut tissue, the total cardenolide concentration and polarity index did not differ. 5. 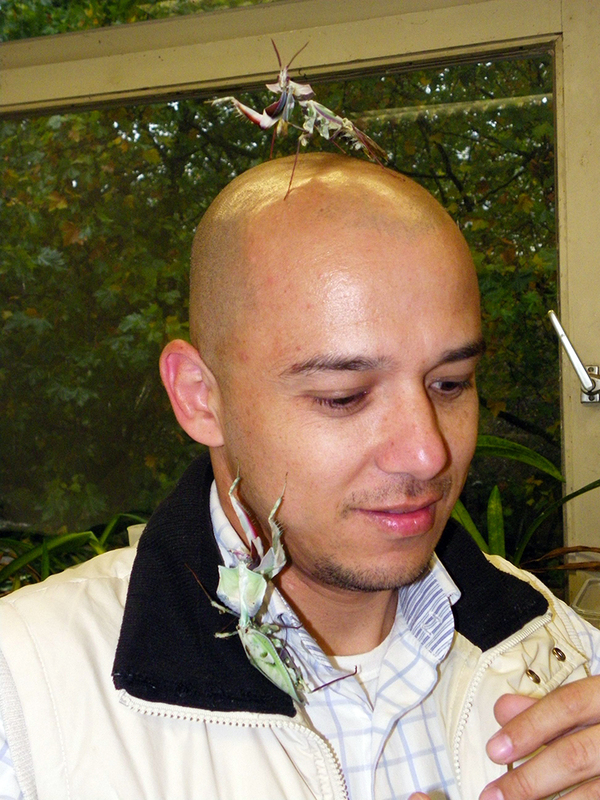 Although T. sinensis treated toxic prey differently than non–toxic prey, gutting did not decrease the mantid’s total cardenolide intake. As other predators consume monarch caterpillars whole, this behaviour may be rooted in species–specific vulnerability to particular cardenolides or simply reflect a preference for high–N tissues. Rafter, J.L., Agrawal, A.A. & Preisser, E.L. 2013. Chinese mantids gut toxic monarch caterpillars: avoidance of prey defence? – Ecological Entomology 38(1): 76-82. Listen to audiocast (link on page) on WKSU, Kent State University’s award-winning NPR News and Classical Music public radio station. Serving more than 20 Ohio counties and parts of Western Pennsylvania, 89.7 WKSU operates from the station’s broadcast center in Kent and via repeater stations at 89.1 WKSV in Thompson, 89.3 WKRW in Wooster, 91.5 WKRJ in New Philadelphia, 90.7 WNRK in Norwalk, and via translator station 95.7 in Ashland. 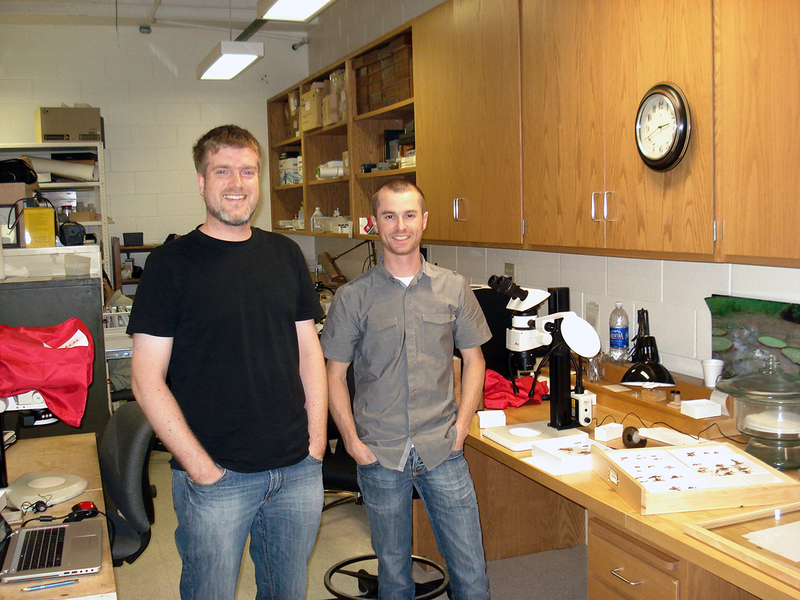 Thanks to Jeff St. Clair for a well-done broadcast on praying mantis systematics research! 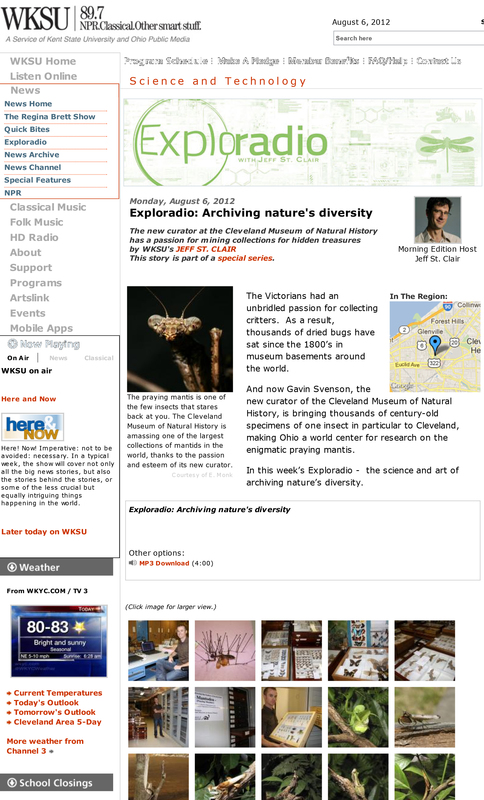 Last week, Frank Wieland visited Gavin Svenson at the Cleveland Museum of Natural History. Throughout the week they worked on the Smithsonian Mantodea collection, getting an overview and looking for hidden treasures. One focus lay on the morphology of flower mantises for the ongoing revision of that group. 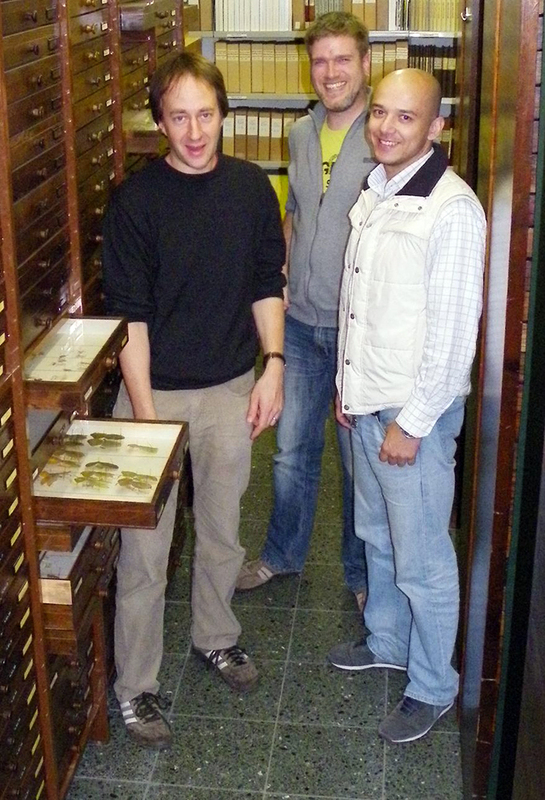 Wieland and Svenson in the CMNH insect collection.